We welcomed Dr. Bruce Cordell back to the show to discuss why he believes we are on the cusp of Maslow Window opening up, setting the stage for a big leap forward with space development and exploration. Our two hour three minute program was in one segment, no break. Also, while processing the program for archives, I accidentally deleted a few short segments which I could not recover. You will probably be able to detect where this happened as the transition cuts reflect the accidental deletes. We started the discussion with Dr. Cordell explaining Maslow Windows, then talking about the JFK (President Kennedy) Moon Mission Program and his policies that produced an economic boom. He said that the Maslow Window materialized over 2-3 years. Bruce talked extensively about the 60s geo political crisis, the Cold War, Soviet Union tensions, conflict and more, drawing some parallels to the global situation today. He even referenced several current news reports saying we were already back in a cold war with Russia and maybe China. Since Dr. Cordell works with trends, he connected the dots to back then and now and sees an opening coming up for a Maslow Window. Bruce talked about various AIAA sessions regarding Mars and other future space plans. He also talked about a possible 2033 Phobos mission and why that made sense. He went back to talking about the aftermath of 1972 and the decades of NASA being in the doldrums. Bruce and I both talked about the very positive impact on the modern space industry of both Elon Musk and SpaceX. He pointed out how they bring a totally different mindset to the game and that is a big part of seeing a Maslow Window open up. Bruce explained the relationship of risk to a Maslow Window along with space industry entrepreneurism. John from Ft. Worth called in citing all the problems and challenges of today, telling Bruce that he did not see anything grandiose in space happening anytime soon. Bruce had a different opinion on what John was saying so don't miss this give and take discussion. Bruce even referenced a recent Wall Street Journal opinion article by economist Martin Feldstein while making his points with John. Dr. Cordell used the term "tipping point" to explain where we are today in terms of the window opening up. Listeners asked him several questions about what was needed for the Maslow Window to appear. For example, listeners wanted to know if America needed to be united. They also wanted to know how dependent the Maslow Window was on having a pro space policy president as a result of the upcoming 2016 election. Listener Carla wanted to know if there was anything advocates could do to facilitate the Maslow Window process. Tim from Huntsville called to ask that if we blow our opportunity, do we get a chance for a do over to open up a Maslow Window. Don't miss how our guest answered Tim's question. Bruce talked about public private partnerships, specifically for the Moon, including Bigelow inflatable lunar structures. I asked Bruce if he had a blog people could follow for this information and he pointed us to http://21stcenturywaves.com/author/dr-bruce-cordell. Before the program ended, the subject of space movies came up, specifically The Martian. Bruce attempted to explain its popularity. NASA planetary science and robotic missions were discussed as Bruce said that these missions help to clarify the role for humans in space. An added thought was how the mission had changed given the new focus of going to Mars to stay instead of going to just do science. Again, don't miss his comments on this. Before the program ended, Paul asked how the Maslow Window might be influenced by who wins the U.S. presidential election. He also wanted to know if public support was essential for this big space program being talked about by Bruce. In reply, Bruce said that there had not been a Maslow Window event, regardless of it being related to space or not, without strong presidential leadership. He cited several historical references in support of his analysis and conclusion. Besides concluding comments, Bruce said that JFK had considered other options that did not include space but going to the Moon was the big vision project. Finally, our guest said all the ducks were lined up in a row other than political and economic. Just before the program ended, I asked Bruce about his USC course which listeners can attend via the USC distance learning program. 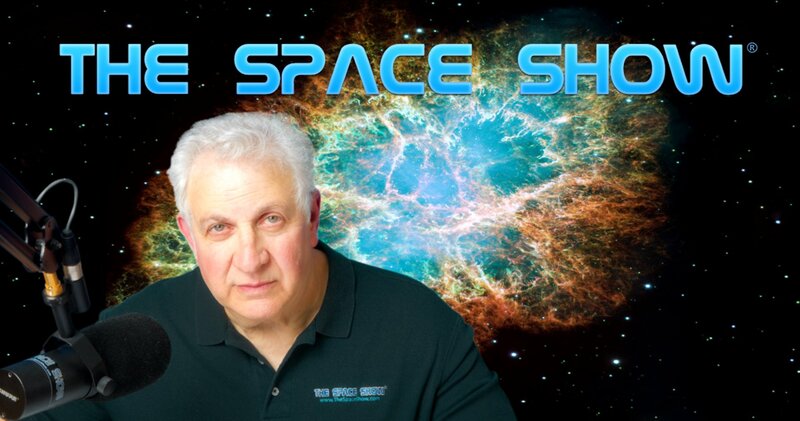 Please post your comments/questions in the comments section for this archived show on The Space Show website. You can reach Dr. Cordell through his website or me.